We know how to help you choose. 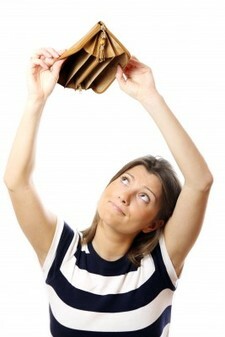 Every woman dreams of a longed-for day, when she will be able to spend money, not thinking of saving at all. However until this magic day comes, let’s muse over the way how to get the maximum efficiency of the financial resources that we have at our disposal. We offer several simple rules that will not only let you save money, but also enjoy shopping. Start with admitting the fact that money is an important and tricky component of our life. An infinity of wants can be fulfilled by means of money (travels, stylish wardrobe, interesting and diverse leisure, etc.) and that’s why it would be just silly not to have a gust of it. We earn money working daily and should respect both our efforts and further material remuneration for our labor. Treat every earned cent as a treasure and a fair share of squandering will come to nothing. Every woman knows her approximate monthly income. And does she know her monthly expenses? Usually we take account of regular payments (rent allowance, disbursement of load, estimated food costs), but what about unforeseen expenditures? We advise you to put down all the expenses for coming month in more details. Thereby your charges will be more controllable and structured. Don’t forget to put away 10% of profit every month for long-term projects and also keep small dollars for unforeseen expenditures. Oh, these sweet words – “discount”, “sale”, “2 items at the price of 1″… How much money has been spent on this tempting come-on. Let’s face it, how many times did you call at a shop not because YOU needed that, but because you had seen a signboard “Sale”? Every woman, at least once, but purchased two blouses at the price of one, even though 5 minutes earlier she hadn’t even thought that she needed at least one of them. Make it a rule to do shopping consciously. At the same time allocate a trifle in order to indulge yourself with some small thing. In this way you will avoid unnecessary costs and won’t lose an opportunity to enjoy impulse purchase. Despite all the restrictions, imposed by the economy, it is important to understand that all these rules are created for one purpose – to experience maximum pleasure from shopping. Your purpose is not economy for the sake of economy. The purpose is to derive pleasure. Pleasure from thorough and rational treatment of money, pleasure from the fact that because of the refusal to blow off money, you can afford a long-awaited purchase and enjoy it.